Pray for the tennis balls in Rome… Petra Kvitova and Madison Keys will meet for the fourth time on tour but the first time on clay in the last match up on Center Court in Rome on Wednesday night. Keys won her first round match against Andrea Petkovic, 6-4 6-1. It was a brutal draw, pitting two top 30 players against each other and Keys prevailed in reasonably straightforward fashion. In truth, it was a messy match and the scoreline was unfortunately more about Petkovic than Keys. In the first set, Keys’s 4-1 lead became 4-4, but she just about hung on to hold to 5-4; there were some dreadful misses from the American player, but Petkovic netted a couple of makeable shots, which prompted a couple of screams of anguish. Petkovic couldn’t hold onto her serve in the next game, often perturbed by the depth on some of Keys’s groundstrokes. Something didn’t look right with Petkovic who was both subdued and tense. The German player commited a ton of errors in the third set and at one point, leant over on her knee. This was causing her problems in Madrid as she took a tearful medical time-out during her first round match. Keys was naturally error-strewn but did well to win the key points. Kvitova will be playing her first match of the tournament having had a bye in the first round. She won two rounds as the defending champion in Madrid but was defeated in straight sets by Daria Gavrilova in the third round, 3-6 4-6. Kvitova revealed in her press conference after the match that she had been struggling with an abdominal injury and had only started practising on the Saturday that Madrid got underway. There’s definitely a sense that the Czech player is trying to inject a little bit more variety into her game including coming forward. I think it’s a great move, but the results won’t instantly be successful overnight so I hope she perseveres. I don’t think consistency for Kvitova will ever come because it will take away what makes her game so special and at times, utterly ruthless. Where Kvitova needs to improve is winning ugly and somehow finding a way to get through matches, like against Gavrilova, when not playing well. Head-to-head record: Kvitova leads Keys in their head-to-head, 2-1. 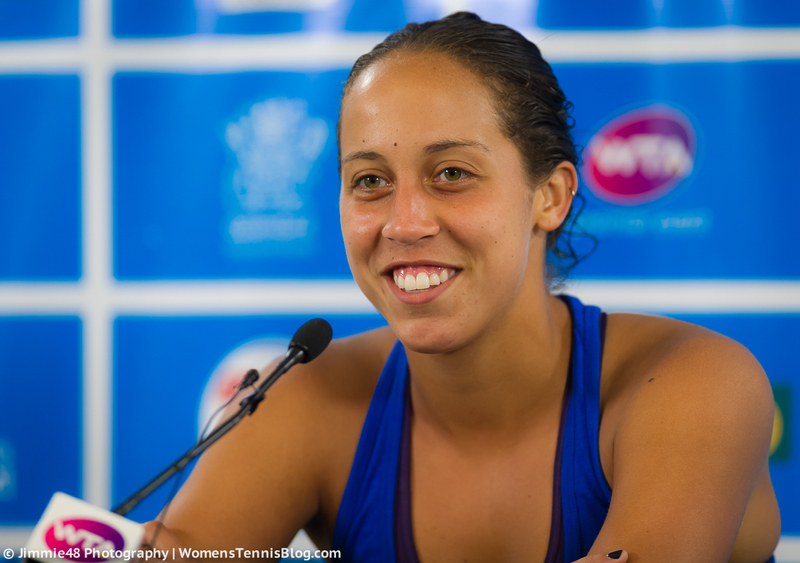 Keys’s sole win came at the Australian Open last year, 6-4 7-5 in the third round. In their most recent match-up, Kvitova recovered from a set down to defeat Keys in New Haven, 4-6 6-1 6-2, before going onto win the title. Final thoughts: One wish… i’d love to see a Petra-Madison match-up on grass this year. As for clay, this could very well be an absolute mess! With the nature of their games, i’d expect their head-to-head to be a close one during their career as their games stack up closely. It will come down to who serves better and quite simply, who manages a better ratio on the winners to unforced errors! While the surface doesn’t suit either player, I think Kvitova will prevail as she has more experience on clay, as well as a touch more variety. May 10, 2016 in Keys, Kvitova, Rome, WTA. Both women can translate their games to clay but it doesn’t happen often for either. I’d like to think Kvitova could take this. I’ve never been sold on Keys personally. Two error machines play with each other. What can we expect? Madison in 3 because Kvitova basically needs a miracle to beat anyone inside the top 100.